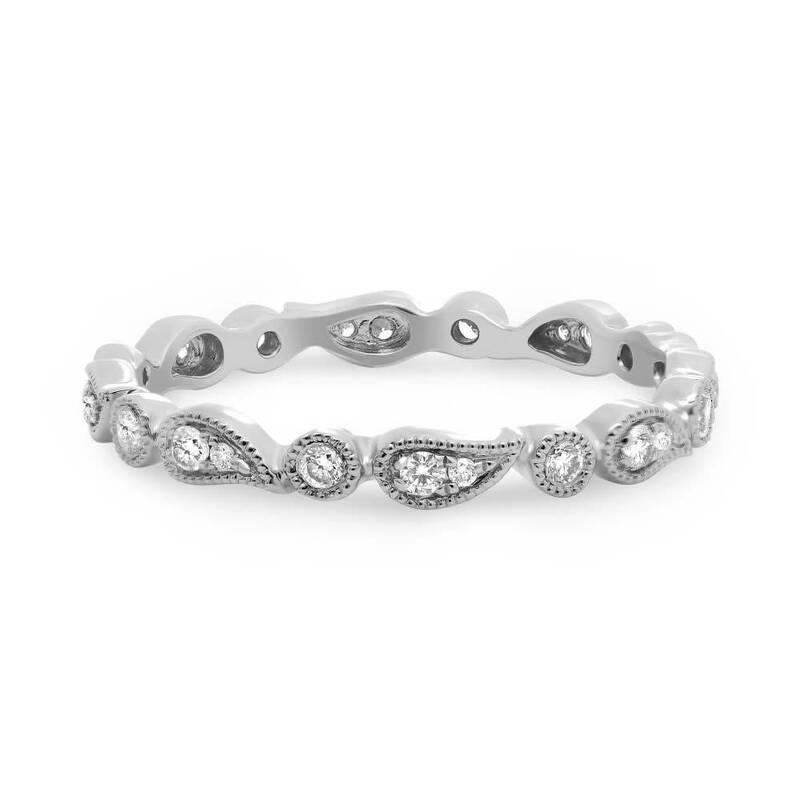 Ladies diamond paisley eternity band of classic contemporary styling. The band is crafted in 14k white gold and set with round brilliant cut diamonds. These diamonds are a combination of bezel set and pave set into the alternating design. The setting are also framed with multigrain detail to enhance the vintage feel of the band.